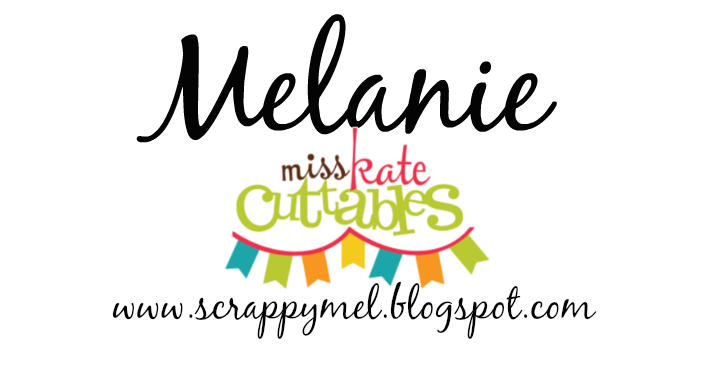 Miss Kate Cuttables DT Day! 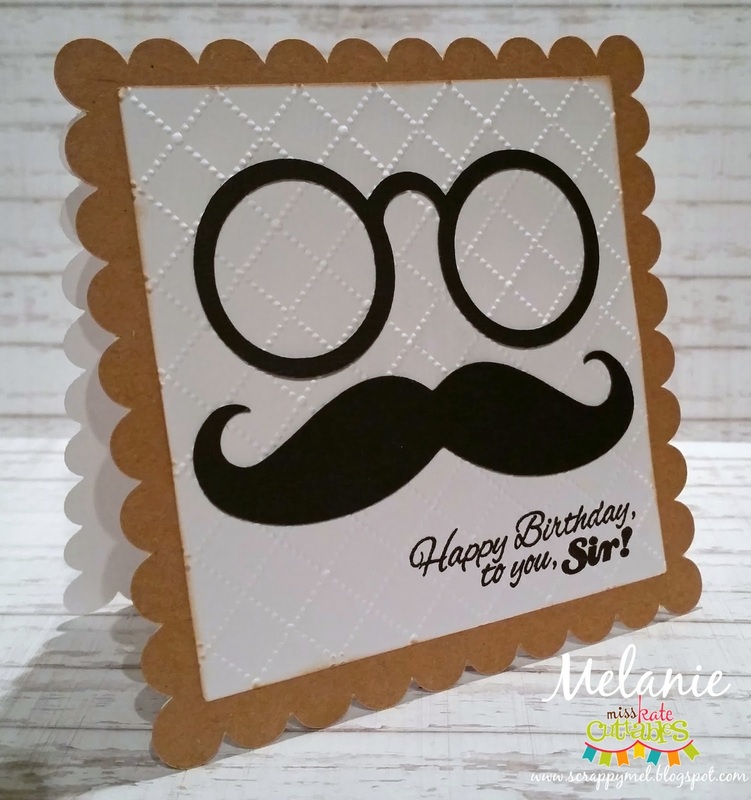 I used 2 different MKC files to make this card - Mustache Mania and My New Glasses. 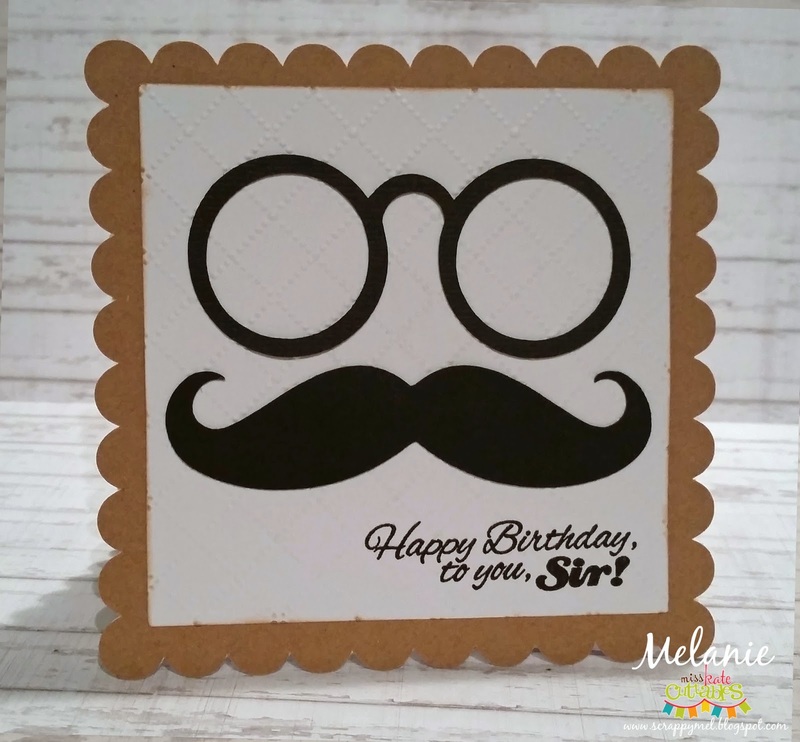 I embossed the white layer and added a sentiment from Scrappy Moms Stamps new Man Cave stamp set. I just love how simple but cute it turned out. I never seem to have masculine cards! 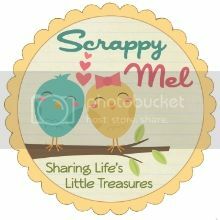 Thank you so much for visiting today - be sure to visit the MKC blog everyday for new projects from the new fabulous DT! 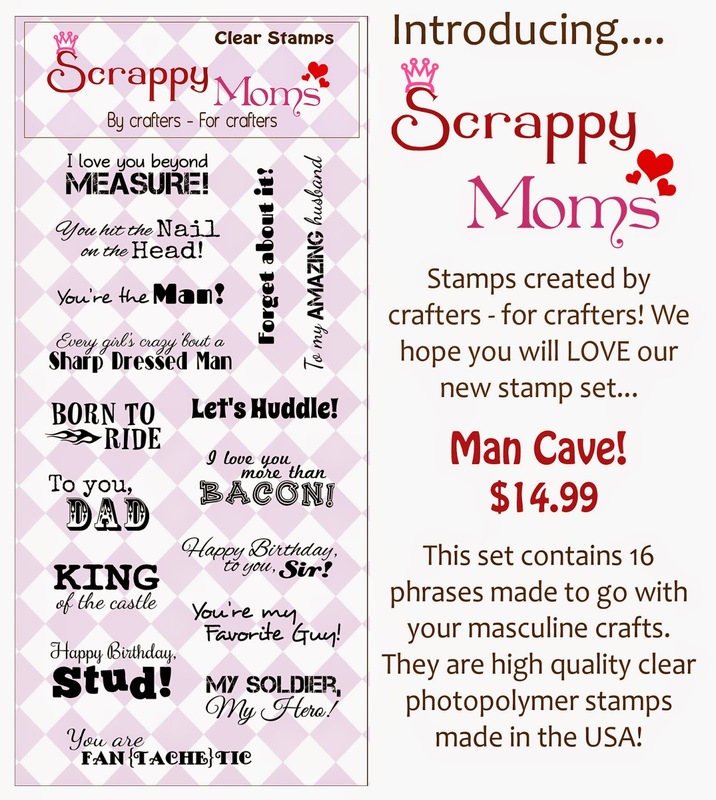 Introducing 2 new SMS Sets - Man Cave & Simply Said! Our wonderful DT, including our December Guest Designer - Karen form Crafted with Love by Karen, will have new projects all this week using these new sets. Terrific Tuesday Challenge - Merry and Bright! 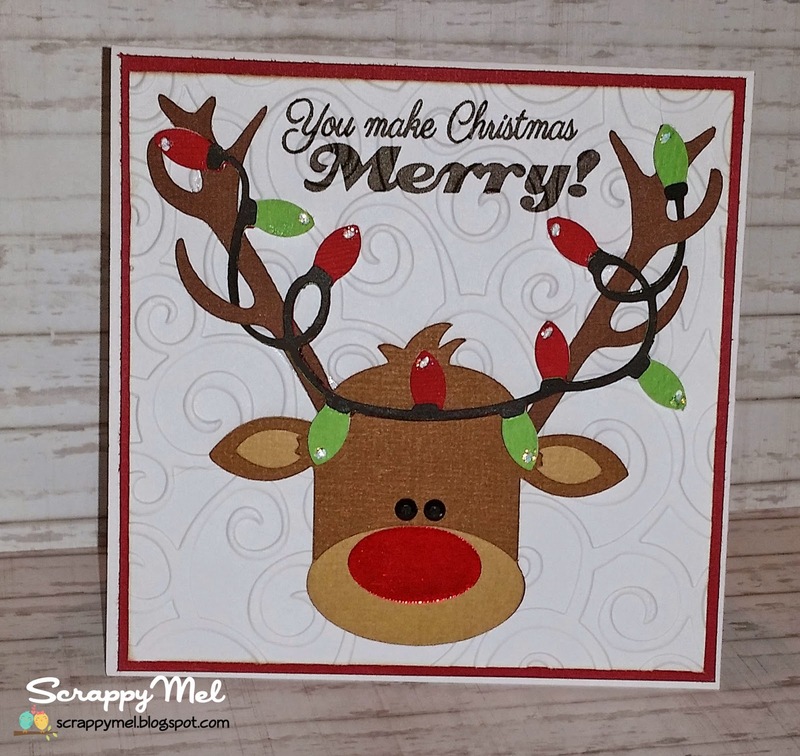 I used MKC Reindeer with Christmas Lights file to make my little card. 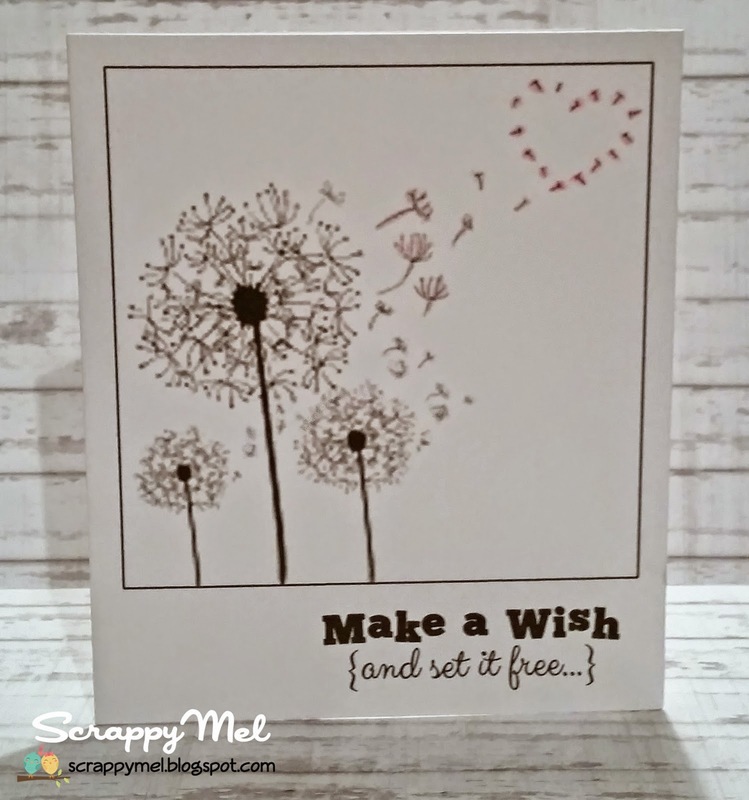 I used the Cuttlebug Divine Swirls embossing folder on the white background. The little reindeer's nose is cut from red mirror paper and I used Diamond Stickles on the Christmas lights. To finish the card I used a sentiment from Scrappy Moms Stamps Christmas Cheer set. 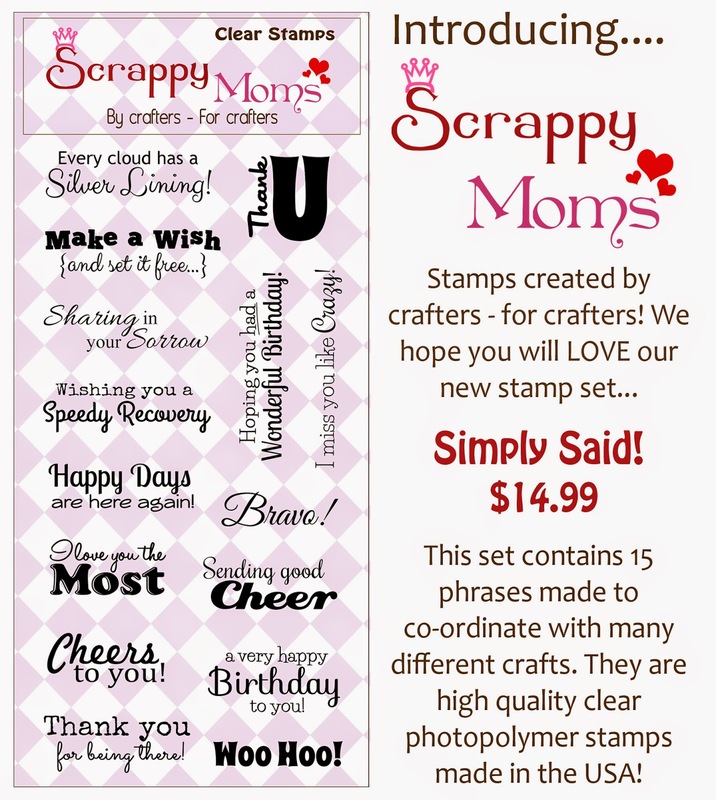 I hope you will join us and link up your Merry and Bright project for a chance to win a Scrappy Moms Stamps set of your choice. Miss Kate Cuttables DT Day - I Believe in Santa! 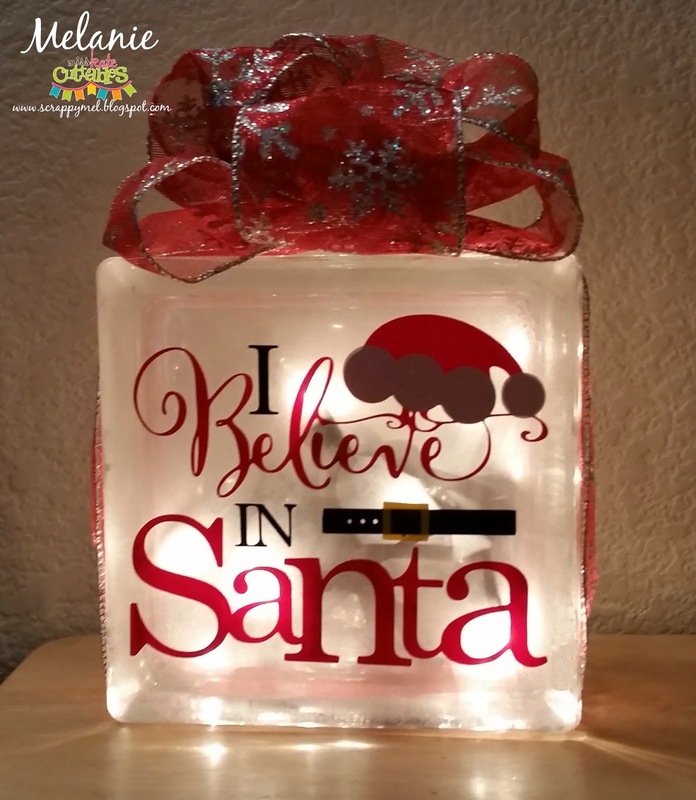 I used MKC I Believe in Santa Title file to make my glass block. A pretty ribbon and a 20 light string set finish the project.